What Are the Different Types of Generator Enclosures? Enclosures are growing in importance for generator use, especially in industrial applications. Increasingly, building designers are looking for ways to get the most out of every space they have within a building, moving the generator set outdoors. In large-scale renovations, upgrading an area of a building to meet the power demands and larger generators requires a significant amount of investment and retrofitting. It’s often easier and more efficient to place the generator outdoors. The right housing allows this to happen. A well-built and suitable enclosure offers a number of advantages. When an industrial generator is outdoors, it is more likely to receive the thorough and frequent maintenance it needs to maintain its long life. The overall procedures are less likely to require complex processes such as removing the engine. The filter life tends to be longer as well. Weather-protective enclosures – enclosures can be designed to be completely waterproof. Sound-attenuating enclosures – specifically designed to keep areas quiet. Walk-in enclosures – allow for more room and space to manage and maintain the system than may be possible indoors. Numerous options exist for generator enclosures. Metal enclosures are a common option, but they often lack a few key benefits of weather-protective enclosures. For example, while a traditional metal enclosure can offer protection from the rain and wind, it doesn’t offer any protection from changing temperatures. They offer some airflow and ventilation, but not enough to offer extensive protection for some diesel generators. Weather-protective enclosures can offer this, due to their tight design. While steel or aluminum can work in some situations, they should always be weatherproof in their design to ensure complete protection of the generator. A comprehensive design should minimize all risks to the generator set. Soundproofing enclosures is nearly always necessary. Sound-attenuating enclosures are required in areas where outdoor generator use is limited unless noise reduction is built into the enclosure. These enclosures are a bit larger and can cost a bit more than a basic weatherproofed system, but they allow for reduced acoustics overall. This type of housing works to reduce the noise significantly, though not all will reduce the sound completely. To accomplish this, the enclosure tends to be taller and longer in overall size to allow for added insulation within the walls of the housing. They often feature a muffler on the inside of the enclosure. Many designs also extend beyond the radiator and feature baffles that help to further reduce the noise production of the system. Best practice for any generator set is to follow the manufacturer recommendations. Having an enclosure that provides complete protection for the generator set, including noise and weather protection, along with being fireproof, takes creating a customized option. Walk-in enclosures can be the best fit in these applications. Walk-in enclosures are often designed to provide for all of these benefits – they are weatherproof, soundproof, fireproof, and fully insulated to be quiet. 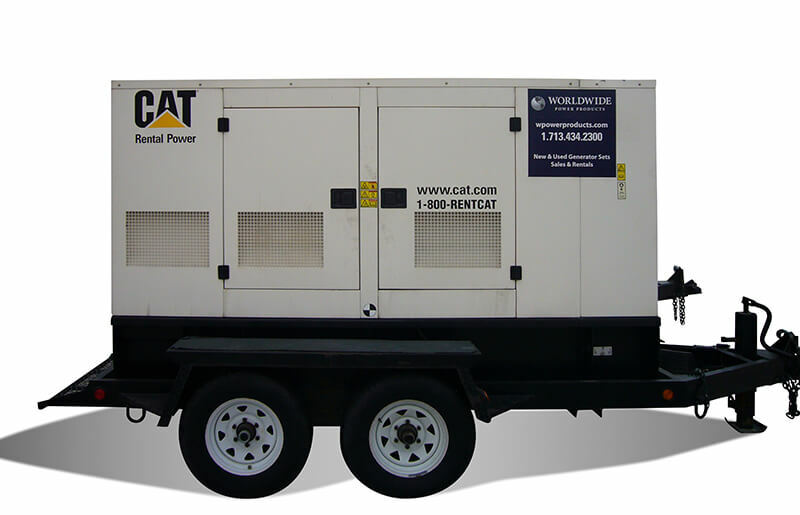 Because they are custom built, they can be designed to fit the specifications of any make and model of generator, including all backup generator models and routinely used systems. At the very least, the generator set enclosure should be designed for the specific class and type of system. When planning for an enclosure, there are other key aspects of the design to take into consideration. The housing selected should provide the highest level of protection possible, but it also has to meet with all manufacturer requirements along with any federal, state, or local regulations. Consider the following aspects of enclosure design. All generators require good ventilation and temperature control. Without this, the generator could create a health hazard. Temperature is also important. Generators can only maintain the power output they are rated for if the temperature flowing through the enclosure is maintained and never exceeds the cooling system ambient temp rating. Proper flow-through ventilation allows the generator set to maintain the optimum operating temperature range. In most situations the housing should include an advanced radiator along with fans to control the engine and generator operating temps even when the outdoor environment is less than ideal. It’s important to ensure intake and outflow of air is never obstructed. When planning for the housing unit, it’s essential to consider the entire system and how it will be used. This should include for service and maintenance needs based on the manufacturer’s requirements. The enclosure should also be expandable. Over time, the location’s power needs may change, requiring the use of a new generator. In other cases, a standby generator may be added at a later date. When configuring the enclosure, ensure all of these needs can be met. It’s not uncommon for generators to be accessed by third parties and even vandalized. At Worldwide Power Products we rent out a lot of generators and security is sometimes overlooked due to them being a temporary feature on-site or in the field. Also susceptible are industrial generators located in more remote areas. This vulnerability can compromise the generator. For this reason, design the enclosure to provide the highest level of security possible. This should include methods to lock all access points including all access to connections, valves, and switches. The fuel tank and system controls should always be secured. There are several other security steps you can take – ranging from rudimentary and inexpensive to comprehensive and expensive – to ensure the safety of your generator. In some cases, it is beneficial to choose an enclosure with an integrated high-capacity fuel tank. This allows for better protection of the fuel lines and the connections for them, enhancing security and overall function. If this is the route decided, be sure to choose those that offer dual-wall construction. Solutions should be put in place to handle accidents including fuel leaks and overflows. Though appearance may not seem like an important component, they are visible to the public. As such, they should be attractive enough to not take away from the plant itself. Choose materials, colors, and design features that allow the enclosure to blend in well with the surrounding area. It should always look clean and well-cared for to reflect positively on the business itself. Some designs are meant to look good, but they can also be built to be more durable. With a higher quality of durable exterior paint and 12-gauge, coated-steel, they maintain a professional look long-term. This should last for years, be easy to maintain, and should remain corrosion-free. Enclosure materials are just as important. Sheet metal is a common option because it can be beneficial to weather and soundproofing, if the metal itself is the right thickness. Many times, powder coating the metal enclosure is ideal as it can help to minimize corrosion risks, fading of paint, and any damage to the metal itself. A secondary option is aluminum. This is best in areas where humidity or high saline ambient air is common. Aluminum enclosures are beneficial in coastal areas, for example. A well-designed enclosure should account for the location it is being placed in along with the type and specifications of the generator, and the way it will be used.